I LOVE this film!!!! 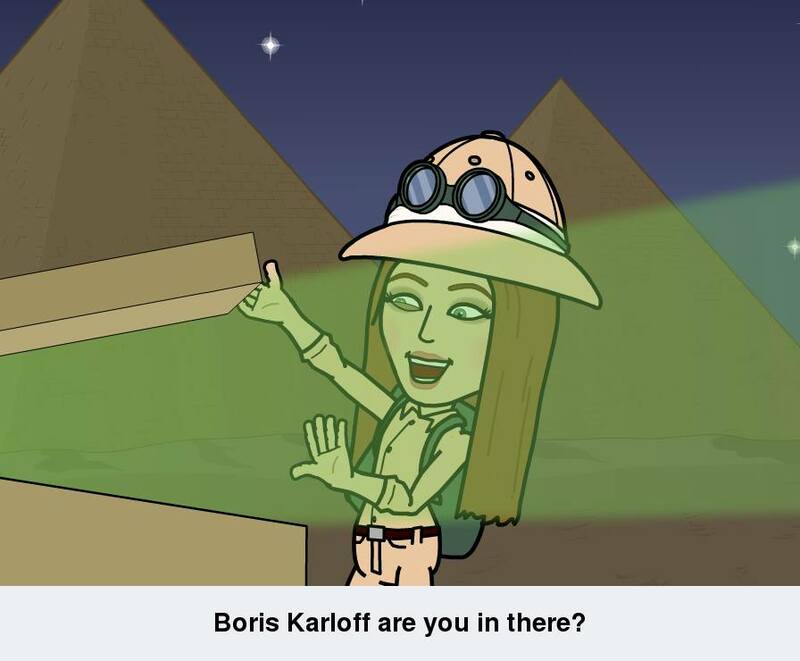 It is a classic horror/B film that stars the amazing, wonderful, absolutely fabulous Boris Karloff! That man was a genius and can do creepy so well. Just check out Frankenstein. 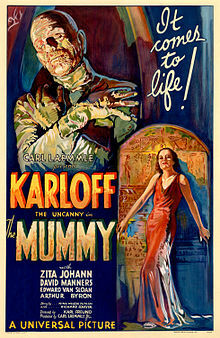 Anyway The Mummy is a member of Universal’s Classic Horror collection; a collection that also houses The Phantom of the Opera, Frankenstein, The Bride of Frankenstein, Dracula, The Creature from the Black Lagoon, The Wolf Man, etc. I love this movie so much that last year I made my own poster for my cover page on facebook. Here it is, hope you like it. What’s funny is that The Mummy started out as something completely different. It was originally going to be called “Cagliostro“, based on a “prophet”/charlatan who claimed that he had lived for several centuries. It was changed with the discovery of King Tut‘s tomb and the controversy over “his curse”. It is the only one of the Universal Classic Horror Collection that is not based off of legend, myth, or classical fiction; but was created all on its own. Interestingly enough, this film is very similar to Dracula, as the writers and directors who worked on that worked on this as well. 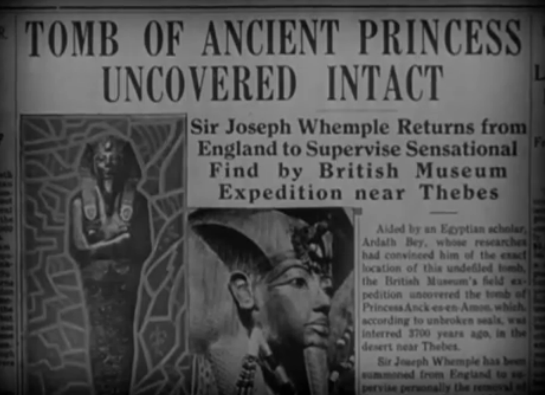 So the film begins with Sir Joseph Wemple leading an archeological expedition in Egypt. He and his crew strike it rich finding a mummy and all his belongings. However, this mummy, has a curse placed upon him. 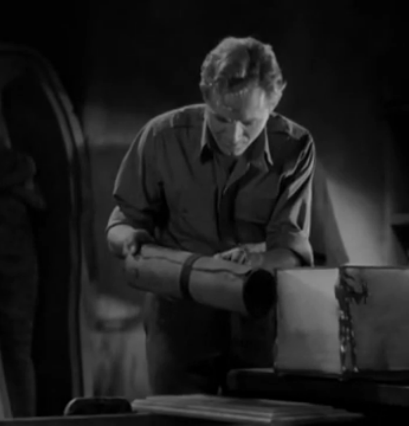 Sir Joseph’s best friend, Doctor Muller, warns him to stay away from the mummy, that only bad things will come of it, but Sir Joseph can’t, he just has to continue to examine the body all in the name of science. Doctor Muller is very much a Van Helsing type character, expressed more so as the film continues. Sir Joseph manages to find the scroll of Thoth that brings the dead back to life, and his assistant, Ralph Norton, can’t help but read it. He reads it in front of the Mummy and brings him to life!!!!! 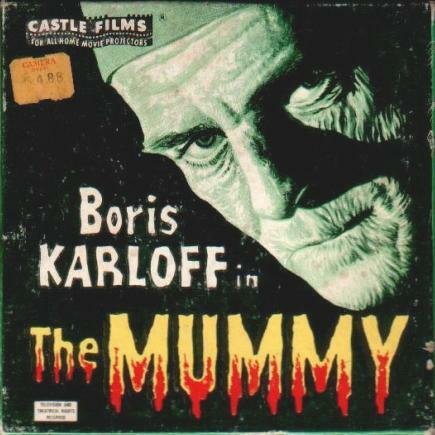 Isn’t Karloff gruesome? What a great costume! We are then fast-forwarded ten years to the present, 1932. Sir Joseph’s son is also an archeologist, but unfortunately his digging crew has come up with nothing so far. Frank Whemple, Sir Joseph’s son, is the only Whemple left in Egypt, as after his father discovered his crazed assistant, Sir Joseph packed up and returned to England, determined to never come to Egypt again. Frank is about to follow his father when he is approached by a modern Egyptian Aderth Bay [they used this name for the leader of the Maji in The Mummy (1999)]. Yep Ardeth Bay is really the Mummy. He gives Frank a map to finding a site “greater than Tutankhamun’s”, his reasons for sharing being that Egyptians are not allowed to dig up their own land but can only do it through foriegners. 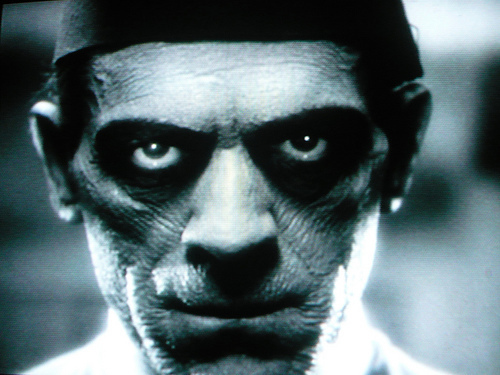 Karloff’s makeup was based on the appearance of Ramses III; and had to go through eight hours of makeup application. 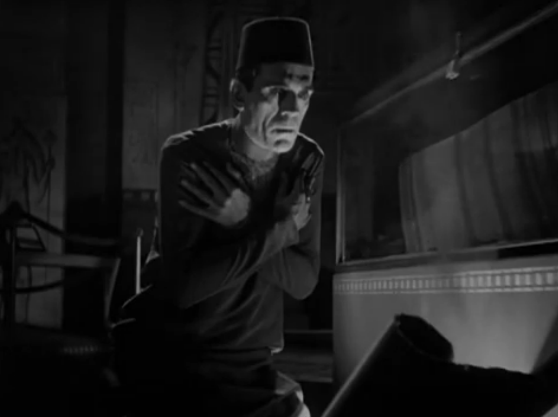 Karloff speaks in a stilted voice that only adds to his mummy persona, but this was due to the fact that so many layers of cotton were glued to his face to create the wrinkled skin that Karloff was unable to move his facial muscles enough even to speak. Even though I am referring him to as the Mummy, his real name is Imhotep. Imhotep is the high priest and they named him after the orginal high priest who designed the stepped pryamid of Djoser in 2630–2611 BCE, the first pryamid ever created in ancient times. That Imhotep wasn’t sentenced cruely but actually so honored he was declared a god. Anyways, back to the film. They dig and find the remains of Ankh-es-en-Amon, the princess. 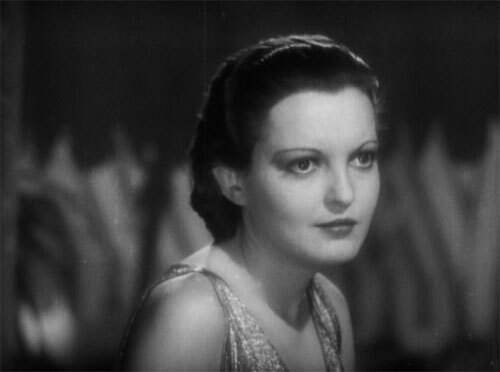 Later Frank attends a ball in which he spots the beautiful Helen Grosvenor, played by Zita Johann. Helen is biracial, her mother was Egyptian while her father was British (the Evie character in the 1999 version). Her father is in charge of the Sudan, but Helen didn’t want to go and is staying with Dr. Muller. She is very nostalgic and easily lost in the mystery and mysticism of ancient Egypt. Imhotep prepare a ceremony t0 help him discover who his beloved Ankh-es-en-Amon’s reincarnated body is. 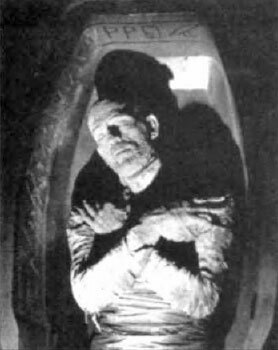 You see back in the day, Imhotep was mummified after trying to resurrect his forbidden lover, the princess Ankh-es-en-Amon. Ever since he was revived he has been trying to find ways to bring her back. But first he needs her reincarnated form as they are “linked” to put Ankh-es-en-Amon’s full spirit in. This reincarnated body is Helen Grosvenor who looks just like Ankh-es-en-Amon. 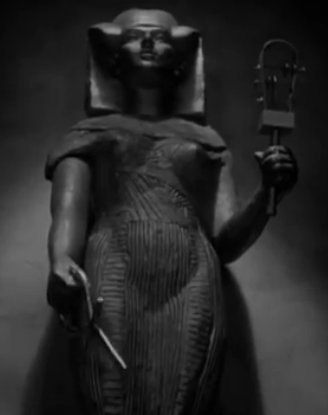 Imhotep calls to her, and she answers. In a zombie like trance she gets a cab and goes to the museum. She tries to get in, but it is locked for the night. Frank finds her and tries to figure out how to help her when she faints. Frank picks her up and takes her to Dr. Muller’s. Helen wakes up and her and Frank form an Insta-connection. While they are busy oogling each other, Sir Joseph and Dr. Muller are trying to figure out how Ardeth Bay, Imhotep, and Helen are all connected. They also hear of a murder at the museum (Ardeth Bay killed a guard who discovered him) and find the remains of his ceremony. Sir Joseph and Dr. Muller return and have connected all the dots. They try to bring Frank up to speed but he just thinks they are talking crazy. Imhotep shows up as he knows that they hold his scroll needed for the ritual. When he arrives he finds Helen. He tries to remind her “who she is”, but she doesn’t remember. She does however have a bond with him, one she cannot explain. Dr. Muller tries to get her out of there, but she doesn’t want to go. However, Frank is able to convince her. Dr. Muller, Sir Joseph, and Imhotep all have a confrontation, everyone letting each other know that they know who each is. They tell Imhotep that they are going to burn the scroll of Thoth that brings people back from the dead. Imhotep warns them to return the scroll to him or die. That night Imhotep uses his magical pool to see Sir Joseph trying to burn the scroll. He doesn’t like that one bit and sends Sir Joe a heart attack. He then commands the servant, as he has the power to command all those with Egyptian blood, to burn some other paper and bring him the scroll. The next day Dr. Miller gives Frank an Isis charm that will protect him. But he warns him not to give the charm to ANYONE ELSE IT WON’T WORK FOR ANYONE ELSE! That day Imhotep calls to Helen and she goes to him. He shows her the past in his wishing pool. He was punished for messing with fate that wasn’t his to mess with. When Helen goes home, Frank is there waiting having been extremely worried about her. Helen goes through a range of emotions as her two sides are fighting with each other. Dr. Muller puts her under house arrest/house care. She acts very much like Mina after Dracula has bit her. They keep looking for Imhotep but can’t find him. They ask Helen to answer the next time he calls so they can find him and kill him. 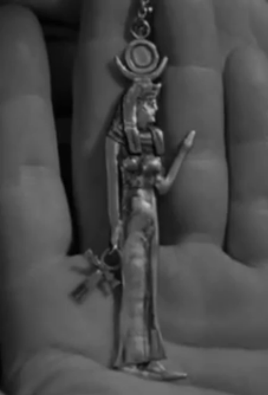 Frank waits outside Helen’s door and decides to help her by placing his Isis charm around the doorknob to keep Imhotep out. DID YOU NOT HEAR THE MAN EARLIER? HE SAID IT WILL WORK ONLY FOR YOU! YOU KEEP IT! I mean this is such a classic mistake made by these men in these horror films. In Dracula, he just has to give the girl the cross charm that is supposed to protect only him, and then gets knocked out and is unable to keep her from being kidnapped. In The Wolf Man, he gives the girl the charm to protect him, and it doesn’t work for her. 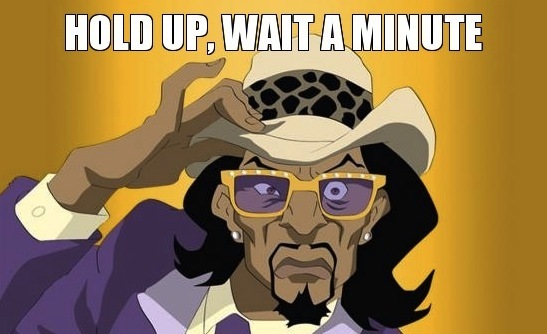 Instead he manifests into being a werewolf and almost kills her. MORAL OF THESE STORIES, KEEP THE DANG CHARM!!! DON’T GIVE IT AWAY!!! Imhotep knocks out Frank and kidnaps Helen, taking her away to the museum to complete the ritual. However, Ankh-es-en-Amon doesn’t want to die and be transformed, she likes being alive. She also knows that she is someone else and wants to live that life as well. Just as Frank and Dr. Miller storm in, Ankh-es-en-Amon calls upon Isis for help and protection. Isis comes to life and turns Imhotep into a pile of dust. Frank calls Helen back from the spirit world and the two live happily ever after. So I took this quiz to see what classic monster I am. 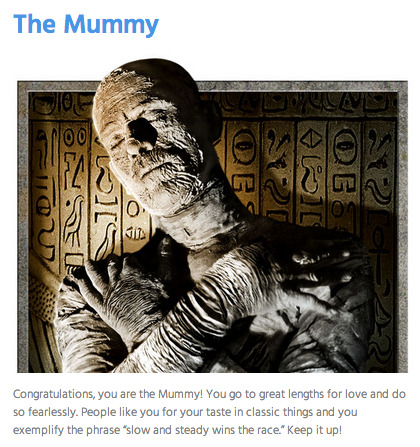 I totally thought I would get The Phantom of the Opera, but instead I got the Mummy. I have to say that some of that I agree with. The classic things are spot on as I’m sure any of you who have read my posts have realized that. 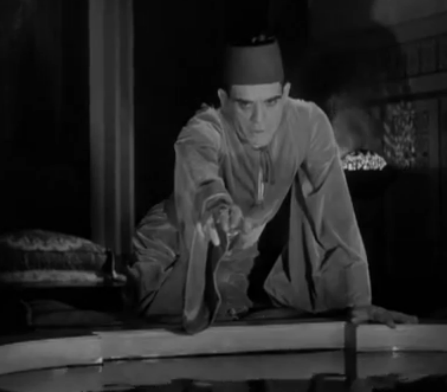 This entry was posted in Horrorfest II, Quizzes and tagged Abbott and Costello Meet the Mummy, Amon-Ra, Ankh-es-en-Amon, Archeological Expedition, Ardeth Bay, B Film, Back from the Dead, Biracial, Blood from the Mummy's Tomb (1971), Blunder, Boris Karloff, Cagliostro, Charlatan, Classic Horror Film, Classical Fiction, Cover Photo, Curse, Doctor Muller, Dracula, DuckTales: Ducky Horror Picture Show, Egypt, England, Evie O'Connell, Facebook, Faints, Forbidden Lover, Frank Whemple, Frankenstein, Frankenweenie, Get Smart: The Mummy, Happily Ever After, Helen Grosvenor, High Priest, Imhotep, Isis, King Tut, Laverne & Shirley: The Mummy's Bride, Legend, Maji, Mina Harker, Mummified, Mummy, Myth, Prophet, Ralph Norton, Ramses III, Reincarnation, Scooby-Doo and the Ghoul School, Scooby-Doo and the Reluctant Werewolf, Scroll of Thoth, Sir Joseph Wemple, Stepped Pyramid of Djoser, Sudan, Supernatural: Monster Movie, The Bride of Frankenstein, The Creature from the Black Lagoon, The Curse of the Mummy's Tomb (1964), The Mummy (1931), The Mummy (1959), The Mummy (1999), The Mummy Lives (1993), The Mummy Returns (2001), The Mummy's Curse (1944), The Mummy's Ghost(1944), The Mummy's Hand (1940), The Mummy's Revenge (1973), The Mummy's Shroud (1966), The Mummy's Tomb (1942), The Mummy: Tomb of the Dragon Emperor (2008), The Phantom of the Opera, The Princess Bride, The Wolf Man (1941), The Wolfman, Transylvania 6-5000, Universal Film, Universal's Classic Monster Movie Collection, Van Helsing, Vizzini, Zita Johann, Zombie Trance. Great stuff! I love this movie, too! Me too! It’s one of the best old horror films. 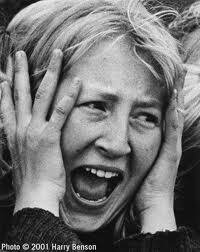 If you want to read more check out Horrorfest and Horrorfest II. I will also be doing another 31 posts this October as well.